Climate Change and the Time of Reckoning. consequences are if the wrong guy wins. This might be the most important page on this website or any other. children and decide what we should be doing. Pasztor, climate adviser to UN Secretary General Ban Ki-moon, to AP News. December 1997, is that the amount of carbon dioxide in the air has grown 6.5%. forward in the effort to rally the world around a solution." who helped create a last-minute pact in Kyoto. itself," Gore said to The Associated Press. Since 1997, the issue of global warming has spread to all facets of business. Andrew Weaver, a University of Victoria climate scientist. contemplated a loss of summer sea ice, Weaver said. World Glacier Monitoring Service at the University of Zurich. harm the ocean food chain, biologists note. Change. "Things are much worse than the models predicted." change, driven by the human input of greenhouse gases into the atmosphere. change up to Copenhagen and beyond. changes in global temperatures can produce damaging local and regional effects. term reductions in rainfall, such as South West Australia and the Mediterranean. decades than have been seen so far. atmosphere, the greater the risk of long-term damage to Earth's life support systems. acidification, loss of rain forests, degradation of ecosystems, and desertification. These effects will lead to loss of biodiversity and reduced agricultural productivity. severity of long-term climate change. dangerous, long-term and potentially irreversible climate change has strengthened. impacts on climate and civilisation could be severe. 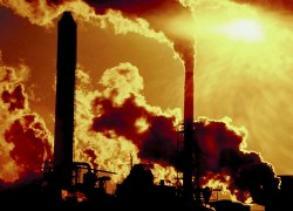 greenhouse gases that trap heat and fuel global warming. scenarios outlined by the United Nations Intergovernmental Panel on Climate Change. ice free in summer within two decades. leadership role in crafting an international agreement to limit climate change. 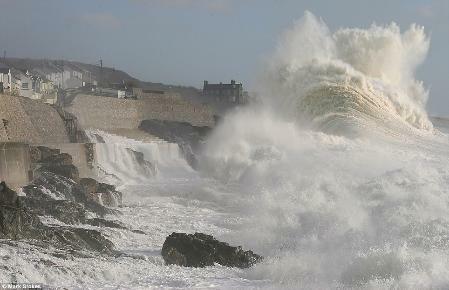 sea and air temperatures rise due to global warming. 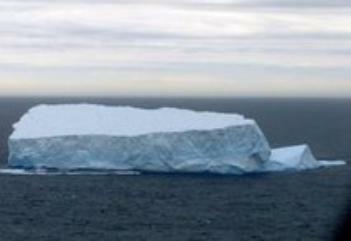 (11.6 square miles) in size when it left Antarctica," Young told AFP. up and producing smaller ones." it up to the South Island or not is difficult to tell," Young said. Southern Ocean where the icebergs have been seen. icebergs," said Maritime New Zealand spokesman Ross Henderson. twice the size of Beijing's "Bird's Nest" Olympic Stadium. more icebergs and the large ice shelves breaking up," he said. shorn on one of the floes in a publicity stunt by the country's wool industry. for Keith’s to hide the decline,” reports the London Telegraph. warming cheerleaders want them to be. has been from CRU, cannot apply in this instance. of somebody who stands to gain from suggesting there’s nothing “untowards” about it. adjusted to look closer to the real temperatures” is false data, yielding a false result. because of his sympathies with climate change skeptics. data needs to be reinterpreted. on 2008 shows there should be even more warming: but the data are surely wrong. ‘contained’ according to one email. release temperature data,” reports the Daily Mail. prevent them from being forced to release data. monumental levels of fraud that have been exposed as a result of the hacked emails. along with the levy of a global carbon tax. of anthropogenic (human caused) climate change. but on propaganda and denial. unavoidable given the activity of humanity in the last 500 years. minimize the damage we are doing to our planet. Climate-gate Has Begun; It Only Gets Worse From Here. and I would think criminal charges may be filed. shows the falsehoods of global warming). chronology as published - are we? Dear Keith - I'm really reticent to raise something else, but must. What's going on? acknowledgement/co-authorship if we use the data." - adequate metadata not available, please see Moberg corrigendum? general. Releasing these data now would be too much. show the BBC has fallen prey to political pressure involved in propagating a scam. Opinion in Environmental Sustainability,1,19-27, doi:10.1016/j.cosust.2009.06.001. September for first time since Sept 2007. maybe? ?--was willing to bet alot of money on it happening in next 5 years?? straighten this out as my student suggests below. Such "fun"
an op-ed response in the BBC from a scientist? Warming: A Convenient Disguise" and "Solar Rain: The Earth Changes Have Begun". has seen its ups and downs, including extremely bleak warnings. endangered species continue to be threatened. South Island, about 450 kilometres (280 miles) northeast. UPDATE - DEC 6 2009. An excellent informational article from B.B.C - Dec 6 2009. Climate Change Conference takes place - Photos, Video and Reports.